The phrase “from our family to yours” represents Villa’s corporate identity. But what does it really mean? To us, it’s much more than a slogan. It expresses the warmth and daily commitment to quality upon which Villa Restaurant Group was founded.  The Villa brands are a family franchise. For over 5 decades, our immediate family has worked side-by-side with our extended “business family” to offer personalized food and service to our valued Guests. From the first day, our family’s name and our family’s future have depended upon the quality and consistency of our food and service. That’s why we are so proud of our success. 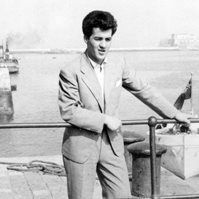 We’ve come a very long way, and our family still stands behind all of our businesses, products and concepts. While it’s true that Villa Restaurant Group has expanded to include a large portfolio of brands, you can be assured that we will always take pride in being a company managed by one great, big family. What does all this mean to you? It means a more personal touch in food preparation, and a more family-oriented approach to supporting franchisees and helping them ensure the success of their families’ businesses and futures. Proud of where we started, conscious of what got us to where we are today, mindful of the respect and regard that we owe to our guests and the partners who helped us thrive and grow … we will never lose sight of the values that started it all. What started in 1964 as a tiny pizzeria next to the Ed Sullivan Theater in New York City has grown into an international organization with numerous QSR franchise concepts and six full-service concepts. From authentic New York pizza and classic Italian fare, to healthy salads and gourmet entrees, Villa Restaurant Group boasts an array of flavors to please just about every taste and every guest. TIMELINE: HUMBLE BEGINNINGS, BRIGHT FUTURE. Michele Scotto, founder of Villa Pizza, set out to realize his dream by adhering to the time-honored cooking processes and authentic recipes of the Old World. This principle, coupled with genuine hospitality and a strict devotion to preparing products with the freshest possible ingredients every day, would become the driving force behind Villa’s success. VILLA opens up its first location in NYC on Broadway next door to the famous Ed Sullivan Theater! Our 1st NJ location opens in Edison! As the indoor shopping malls started … VILLA opens it’s first mall location in Rockaway, New Jersey. Pizza Today Magazine lists VILLA as 1st in the Fastest Growing Category! VILLA opens its 40th location. 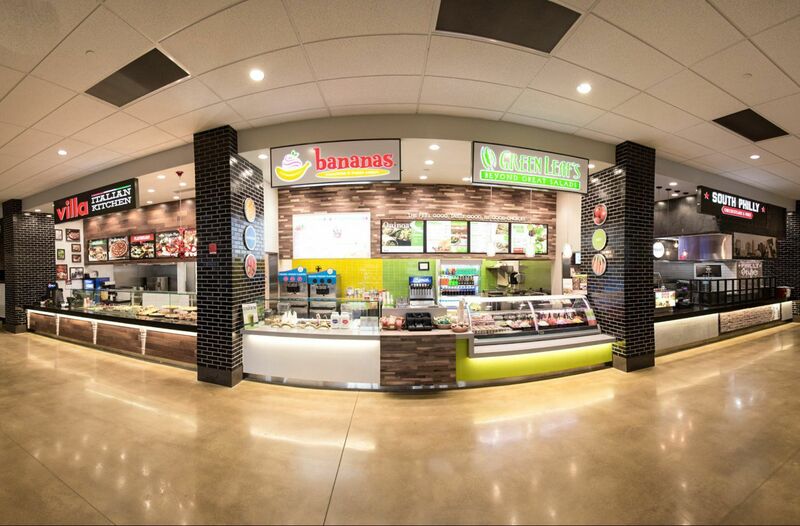 Our 1st airport location opens in Orlando International Airport. In 1996, VILLA opens its first international location in Michele’s homeland - Naples, Italy where we have continued to successfully grow. VILLA acquires Florida based Cozzoli’s Pizzeria adding roughly 30, mostly franchised locations to our store count. VILLA purchases Everything Yogurt Brands…and the basis for Green Leaf’s and Bananas begins. In addition, VILLA also acquired South Philly Steaks & Fries. Celebrating our 40th anniversary , VILLA opens our TIMES SQUARE FLAGSHIP LOCATION at the corner of 42nd Street and 8th Avenue in NYC. VILLA continues its growth into new venues opening several casino based locations, which remain an important part of our growth strategy. The birth of our Full Service division begins with the purchase of the Black Horse Tavern & Pub, Mackenzie’s Steakhouse, George & Martha’s, and Il Forno. VILLA opens at the Prudential Center Sports Arena in Newark, NJ and at the Sands Casino Resort in Bethlehem, PA where we operate nine unique brands across both Quick Service and Full Service divisions. VILLA continues to expand the Full Service Division with the purchase of The Office Beer Bar and Grill, adding seven prime locations to our group! VILLA continues to expand internationally with locations opening in five countries … UAE, Azerbaijan, Turkey, Egypt, and Colombia. Piattino Neighborhood Bistro opens in the former Mackenzie’s Steakhouse location spurring the creation of a dedicated full service division 40North, which takes its name from the common linear parallel of Naples, Italy and Morristown, NJ @ 40 degrees latitude. 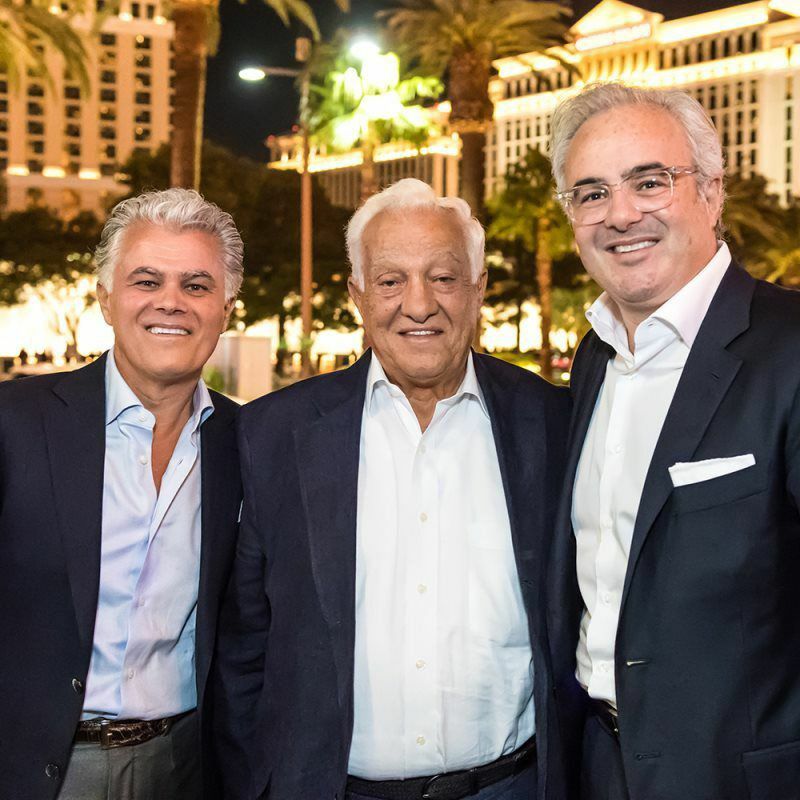 VILLA opens over 60 Villa Italian Kitchen locations…the most in any single year. VILLA opens its first food hall with the opening of the Arizona Mills Mall Food Hall where we operate nine unique brands. 40North beings the complete rebranding of The Office Beer Bar & Grill restaurants to The Office Tavern Grill in Morristown, NJ, a two-level restaurant featuring over 40 Craft Beers on tap. Villa Enterprises celebrates its 50th Anniversary! Villa Italian Kitchen is inducted into the Pizza Hall of Fame. South Philly Steaks & Fries changes its name and undergoes a full renovation, reopening as South Philly Cheesesteaks & Fries at Woodbury Commons in Central Valley, NY and Gloucester Premium Outlets in Blackwood, NJ. A new concept is announced, Tony + Benny’s, the next evolution in pizza! VILLA Enterprises Management officially rebrands itself to Villa Restaurant Group, to better align itself with its current portfolio mix, and future endeavors. VRG expands the Office Tavern Grill Brand opening its second location in Summit, NJ. VRG opens its fourth Food Hall, operating the food court at Orlando International Airport (MCO) Airside 2. VRG opens it second Piattino location in the heart of Summit, NJ. Villa Italian Kitchen joins the national craze and launches Pumpkin Spice Pizza, with notable appearances on Jimmy Kimmel Live and Late Night with Seth Meyers, among many others. 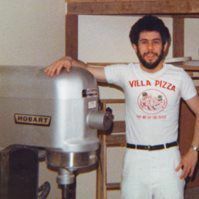 Villa Italian kitchen was ranked #24 in Pizza Today’s ‘Top 100 Pizza Companies; and #26 in PMQ for the Top 50 Pizza Chains.